This report provides forecast and analysis of the industrial packaging market on the global and regional level. The study provides historic data of 2015 along with forecast from 2016 to 2024 based on volume (Mn units) and revenue (US$ Mn). It includes drivers, restraints and the ongoing trend of the industrial packaging market along with their impact on demand during the forecast period. The report also comprises the study of opportunities available in the market for industrial packaging on the global and regional level. It also includes value chain analysis with list of raw material manufacturers, IBCs Manufacturers, Drum manufacturers, Pails and crates manufacturers etc. In order to provide the users of this report with comprehensive view of market, we have included detailed competitiveness analysis and company players. The competitive dashboard provides detailed comparison of industrial packaging manufacturers on parameters such as company’s revenue, unique selling propositions and key strategic developments. 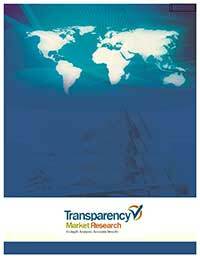 The study encompasses market attractiveness analysis, by product type, material type, packaging type, End Use and by geographic region. Market statistics have been estimated based on average consumption and weighted average pricing of industrial packaging by product type and the revenue is derived through regional pricing trends. Market size and forecast for each segment have been provided in the context of global and regional markets. The industrial packaging market has been analyzed based on expected demand. Prices considered for the calculation of revenue are average regional prices obtained through primary quotes from numerous industrial packaging manufacturers, suppliers, and distributors. All key end users have been considered and potential applications have been estimated on the basis of secondary sources and feedback from primary respondents. Regional demand patterns have been considered while estimating the market for various end users of industrial packaging in different regions. Top-down approach has been used to estimate the industrial packaging market by regions. Market numbers for global product type, material type, packaging type, end use and by region have been derived using the bottom-up approach, which is cumulative of each region’s demand. To compute the market size, in-depth secondary research is done. Data points such as regional splits and market split by material type, product type, packaging type, end use distribution network and primary usage as well as qualitative inputs from primary respondents have been assimilated to arrive at appropriate market estimates. The report comprises the forecast of the global revenue generated by the sales of industrial packaging market. In the final section of the report, industrial packaging market competitive landscape is included to provide a dashboard view of companies that manufacture and provide services of industrial packaging market. The report contains company profiles of some of the key players in the global industrial packaging market. The report provides detailed competitive outlook including company profiles of key participants operating in the global market. Key players in the global industrial packaging market include, Smurfit Kappa Group, Sealed Air Corporation, Tekni-Films, Inc., Grief Inc, International Paper, Nefab Group, Schutz, Sonoco, AmeriGlobe, B.A.G. Corp, Mauser Group B.V, Greif inc etc.